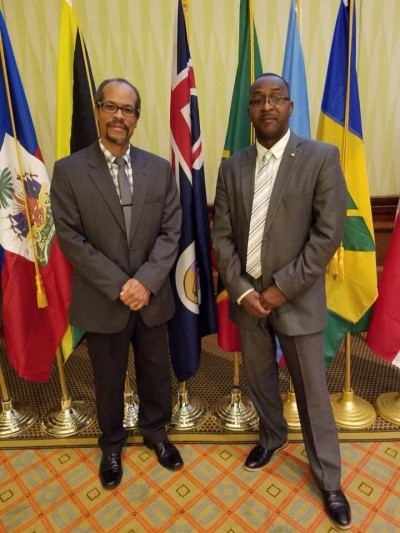 Grand Cayman, Cayman Islands, 10 April 2019 --The Caribbean Regional Fisheries Mechanism (CRFM) and CCRIF SPC have signed a Memorandum of Understanding to develop climate-resilient fisheries and aquaculture industries in the region. The purpose of the MOU is to formalize collaboration around the Caribbean Oceans and Aquaculture Sustainability Facility (COAST) initiative, which will help to reduce the risk that climate change poses to food security and nutrition and to mitigate climate change impacts on sustainable food production as it relates to the fisheries sector. Promotion of climate-resilient fishing, fish farming and resource management practices among CRFM Member States. CCRIF CEO, Mr. Isaac Anthony indicated that, “We are pleased that through this initiative, CCRIF will add a fisheries/aquaculture product to its current suite of parametric insurance policies for tropical cyclones, excess rainfall and earthquakes – thus expanding the portfolio of catastrophe insurance options for the countries in this region." 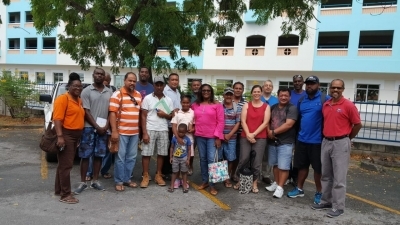 Providing this option to governments in the region will support CRFM’s mandate to promote the Caribbean Community Common Fisheries Policy, specifically the Protocol on Climate Change Adaptation and Disaster Risk Management in Fisheries and Aquaculture. 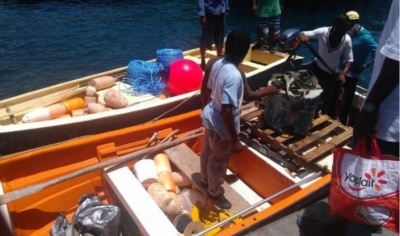 “Fishers and fishing communities in the Caribbean are facing increasing threats and risks from climate change and related hazards,” said Milton Haughton, Executive Director of the CRFM. “We welcome this partnership between the CRFM and CCRIF. The insurance products which will become available will help enormously to reduce the risks and uncertainties, as well as improve resilience of our fishing communities by enabling them to recover and rebuild without delay after disaster events,” he noted. CCRIF and CRFM have collaborated in the past and CRFM has also participated as a host organization in CCRIF’s Regional Internship Programme. 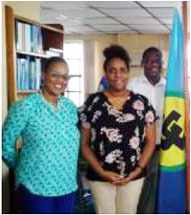 In 2017, Ms. Yinka Jagbir-Garcia from Trinidad worked as an intern at the CRFM and over a 2-month period assisted with the development of a Model Disaster Management Plan for the Fisheries and Aquaculture sector of CRFM Member States. 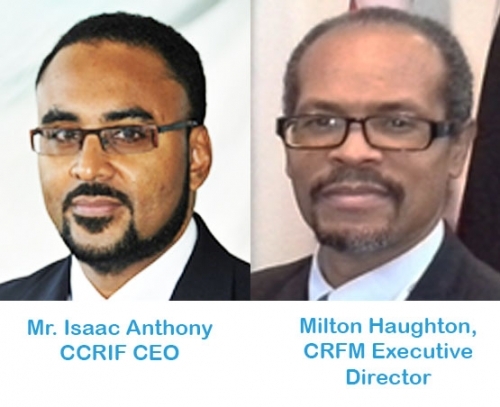 About the Caribbean Regional Fisheries Mechanism: The CRFM is an organization established to promote and facilitate the responsible utilization of the Caribbean region’s fisheries and other aquatic resources for the economic and social benefits of the current and future population of the region. It is responsible for coordinating the implementation of the Caribbean Community Common Fisheries Policy, including the Protocol on Climate Change Adaptation and Disaster Risk Management in Fisheries and Aquaculture, which has the goal of ensuring development of regional fisheries and aquaculture sectors that are resilient to climate change and ocean acidification, and enhanced through comprehensive disaster management and sustainable use of marine and other aquatic living resources and ecosystems. About CCRIF SPC: CCRIF SPC is a segregated portfolio company, owned, operated and registered in the Caribbean. 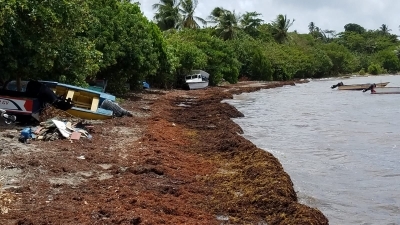 It limits the financial impact of catastrophic hurricanes, earthquakes and excess rainfall events to Caribbean and – since 2015 – Central American governments by quickly providing short-term liquidity when a parametric insurance policy is triggered. It is the world’s first regional fund utilizing parametric insurance, giving member governments the unique opportunity to purchase earthquake, hurricane and excess rainfall catastrophe coverage with lowest-possible pricing. CCRIF was developed under the technical leadership of the World Bank and with a grant from the Government of Japan. It was capitalized through contributions to a Multi-Donor Trust Fund (MDTF) by the Government of Canada, the European Union, the World Bank, the governments of the UK and France, the Caribbean Development Bank and the governments of Ireland and Bermuda, as well as through membership fees paid by participating governments. In 2014, an MDTF was established by the World Bank to support the development of CCRIF SPC’s new products for current and potential members, and facilitate the entry for Central American countries and additional Caribbean countries. The MDTF currently channels funds from various donors, including: Canada, through Global Affairs Canada; the United States, through the Department of the Treasury; the European Union, through the European Commission, and Germany, through the Federal Ministry for Economic Cooperation and Development and KfW, and Ireland. In 2017, the Caribbean Development Bank, with resources provided by Mexico, approved a grant to CCRIF SPC to provide enhanced insurance coverage to the Bank’s Borrowing Member Countries.